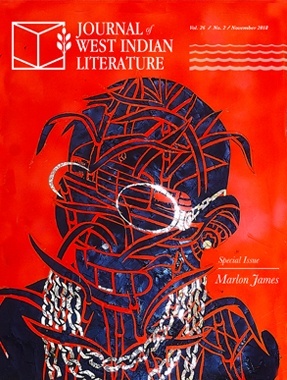 The Journal of West Indian Literature (JWIL) is a UWI-led Caribbeanist project invested in highlighting and critically examining the prolific literary production of the Anglophone Caribbean. The journal publishes articles in English that are the result of scholarly research in literary textuality (fiction, poetry, drama, film, theory and criticism) of the English speaking (cricket playing) Caribbean and in translation from other parts of the archipelago. JWIL also publishes book reviews, and, in time, hopes to include reviews of theatre and film productions. This entry was posted in Announcements on March 20, 2019 by Teanu Reid. This symposium will mark the end of an academic year in which the Committee on Globalization and Social Change has engaged the issue of “Translation.” Taking a broad view of the topic, we have treated translation as a practice and process of carrying across, of thinking and acting across various types of boundaries, whether real, reified, or imagined. We are especially interested in the profound challenges, generative possibilities, and unanticipated outcomes that follow attempts to pursue, discover, or fashion connections across singular, incommensurable, and untranslatable domains. At a time when so many planetary predicaments require translocal responses and alternatives, the politics of translation – the peril and promise of carrying across – emerges as an especially timey issue. We hope that this gathering of scholars working in different fields and world areas from various theoretical perspectives will help us to think together about the entwined political, ethical, and aesthetic aspects of translation today. Of special note for Caribbeanists is Session III of the Practicing Translation, Translating Politics symposium, at 3pm on Friday, featuring presentations by Kaiama L. Glover and Brent Hayes Edwards. Their presentations are entitled, “Blackness’ in French: On Translation, Haiti, and the Matter of Race” and “Diasporic Literature and the Task of the Black Translator,” respectively. This entry was posted in Announcements, Northeast US Events on March 11, 2019 by Teanu Reid. The presidential theme for the 2020 MLA Annual Convention is Being Human. MLA members are invited to reflect on the role of literature and language in defining the nature of the human in the face of what appears to be its diminishment and to provoke debates on the role of the humanities in a changing world. What has been the role of the creative imagination in marking out the social spaces of what we call humanity? How has literature been called upon to bear witness to both the possibility and limits of the human in the modern world? How has the human condition been thought and written about in diverse historical periods and geographic spaces? Can literature and its criticism continue to inspire the desire for human freedom in an age of intolerance? What is the role of a diverse community of writers and readers in the thinking of the world and our relation to it? Rafe Dalleo and Sheri Harrison are seeking presentations on the significance of the 1970s to cultural engagements with the Caribbean’s postcolonial history. Email your 300-word abstract and 1-page CV to Rafe Dalleo (prdalleo@gmail.com) and Sheri Harrison (harrisonsl@missouri.edu ) by March 15, 2019. Above texts adapted from webpages. This entry was posted in Announcements, CFPs on March 11, 2019 by Teanu Reid. The Department of Social and Cultural Analysis at New York University invites applications for a Visiting Assistant Professor (non-tenure track) in the field of Afro-Latinx studies. The appointment will begin on September 1, 2019, pending administrative and budgetary approval. This is a one-year appointment, with a possibility of renewal for up to three years. The candidate is expected to teach a 2/2 load. We seek interdisciplinary applicants whose research complements and intersects with our existing Latino/a/x/ faculty and the diverse programs that are housed in the department. For more information about the NYU Department of Social and Cultural Analysis, visit our website. Candidates must have completed a Ph.D. in a relevant discipline by May 2019. Submit the following documents via interfolio by March 15th. This entry was posted in Announcements on March 11, 2019 by Teanu Reid. The University of the West Indies (UWI) is a dynamic, international institution serving the countries of the Commonwealth Caribbean. Its faculties offer a wide range of undergraduate, masters and doctoral programmes in Humanities and Education, Science and Technology, Engineering, Law, Medical Sciences and the Social Sciences. At 70 years old, the institution represents the oldest of its kind within the region and has been responsible for producing outstanding leaders who have made remarkable contributions to regional development. SENIOR LECTURER/LECTURER IN LITERATURES IN ENGLISH Department of Literatures in English. This entry was posted in Announcements on March 4, 2019 by Teanu Reid. Review of applications will begin on 15 March 2019. This entry was posted in Announcements on February 28, 2019 by Teanu Reid. The Gilder Lehrman Center for the Study of Slavery, Resistance, and Abolition, part of the MacMillan Center at Yale University, is accepting applications for two types of postdoctoral and faculty fellowships that advance the study of slavery, its role in the creation of the modern world, and its legacies. They are: the Postdoctoral and Faculty Fellowships (one-month and four-month) and the annual Human Trafficking and Modern Day Slavery Fellowship (academic year). The Gilder Lehrman Center will award two four-month fellowships, one in the fall semester (from September through December 2019), and one in the spring semester (from either January through April 2020 or February through May 2020). The Gilder Lehrman Center will award several one-month fellowships between September 2019 and May 2020. The GLC will award one full-year Human Trafficking and Modern Day Slavery Fellowship in 2019-2020. These are in-residence positions. During their time in New Haven, fellows have access to Yale University libraries and resources, office space at the Gilder Lehrman Center, give a public lecture, record a podcast interview, and participate in the intellectual life at the Center. For the 2019-2020 fellowships, highest priority is given to applications that are fully complete by March 1, 2019. For further information regarding specific fellowships and the application process see the Gilder Lehrman Center website. This entry was posted in Announcements on February 17, 2019 by Teanu Reid. The Koninklijk Instituut voor Taal-, Land- en Volkenkunde (KITLV) / The Royal Netherlands Institute of Southeast Asian and Caribbean Studies is a research institute for the interdisciplinary study of Southeast Asia and the Caribbean, with a focus on Indonesia and the ‘Dutch’ Caribbean. We are looking for a talented, hardworking and experienced researcher in Caribbean Studies. You will conduct creative research with regular dissemination of your results through appropriate scholarly outlets and are able to apply for external project funding from national and international funding bodies. We expect you to make a relevant contribution to the public debate on Caribbean parts of the Kingdom of the Netherlands and the relations within the Kingdom, and to represent the field to external audiences and in the media. City Tech invites applications for a tenure-track position in African American Studies at the Assistant Professor rank, to begin during the 2019-2020 academic year. The African American Studies Department is designed to bring into disciplinary focus, through inter-departmental and multicultural course offerings in Liberal Arts and Sciences, the history and culture of Africans and their descendants, throughout the diaspora from antiquity to the present. This entry was posted in Announcements on February 3, 2019 by Teanu Reid. 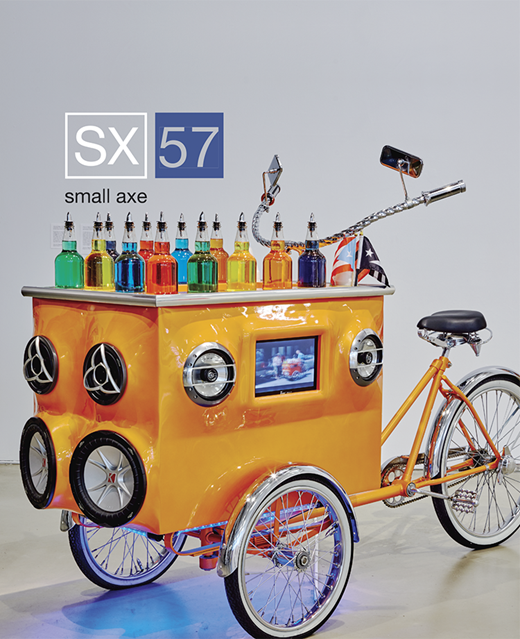 This issue of Small Axe features a discussion section focused on redefining security and insecurity through the centering of the Caribbean. The authors contend with three guiding understandings of security and insecurity: that security and insecurity are deeply located and historically grounded; that security and insecurity are intertwined and constantly produced and reproduced in relation to one another; and the role of creative practice in locating negotiation agency around a specific form and location of security or insecurity. Small Axe focuses on publishing critical work that examines the ideas that guided the formation of Caribbean modernities. Through the journal many of the conceptions that guided the formation of our Caribbean modernities—conceptions of class, gender, nation, culture, race, for example, as well as conceptions of sovereignty, development, democracy, and so on— receive substantial rethinking. Small Axe aims to enable an informed and sustained debate about the present we inhabit, its political and cultural contours, its historical conditions and global context, and the critical languages in which change can be thought and alternatives reimagined. The journal mainly includes scholarly articles, opinion essays, and interviews, but it also includes literary works of fiction and poetry, visual arts, and reviews. Cover Art: Miguel Luciano, Pimp My Piragua, 2009.
be no more than six years beyond the Ph.D., and be able to teach history courses. department and participate in the seminar series at either the Rutgers Center for Historical Analysis or the Institute for Research on Women. three letters of reference. The deadline for applications is April 15, 2019. This entry was posted in Announcements on January 31, 2019 by Teanu Reid. The Caribbean Music Pedagogy Workshop is back with some exciting changes. The program has been expanded from a 5-day to a 10-day professional development workshop designed to help eradicate systemic racism in the field of music by getting teachers and artists to think consciously about their approaches to teaching and performing music. In keeping with our social justice goals, CMPW instructors are local artists from the Caribbean or of Caribbean ancestry who are experts in their field. They bring a unique perspective to the study of Caribbean music in the U.S. where classes are taught primarily by people outside of the culture. Instructors teach from a Caribbean perspective and offer strategies for teaching musical traditions that have been marginalized within a system that privileges Western art music and Eurocentric pedagogical methods. 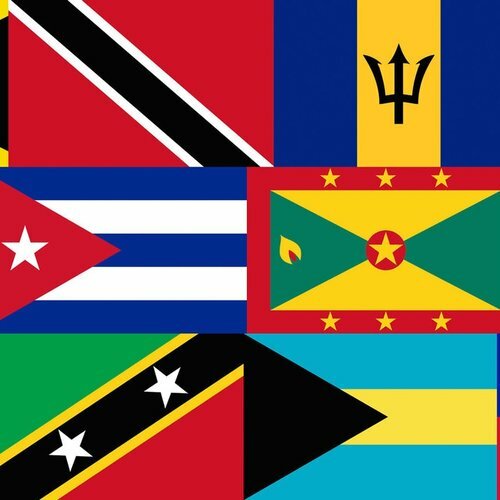 Summer 2019 will focus on Cuba, Haiti, and Trinidad & Tobago. 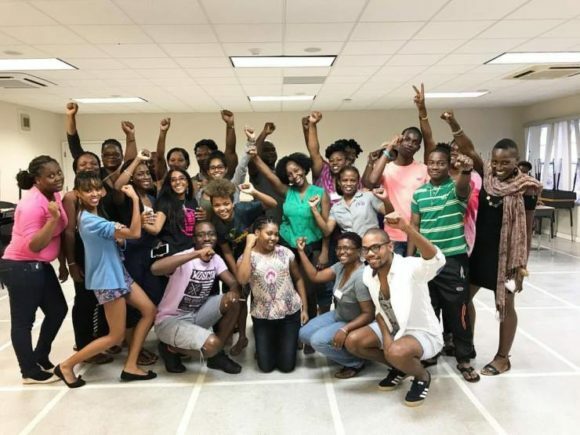 The Caribbean Institute in Gender & Development: An Intensive Training Programme is the region’s premier gender and development training programme. The programme is now in its 13th cycle. It is hosted by the Institute for Gender & Development Studies: Nita Barrow Unit of the University of the West Indies. The programme is for anyone working or interested in the field of social development. It will benefit persons interested in understanding the issues of gender and development within Caribbean societies, particularly practitioners within government and non-governmental institutions, community-based and service oriented organisations. The programme focuses on the issues of gender and development within Caribbean Societies from a feminist perspective. It comprises a number of interdisciplinary modules offered at the undergraduate level. This entry was posted in Announcements on January 23, 2019 by Teanu Reid.